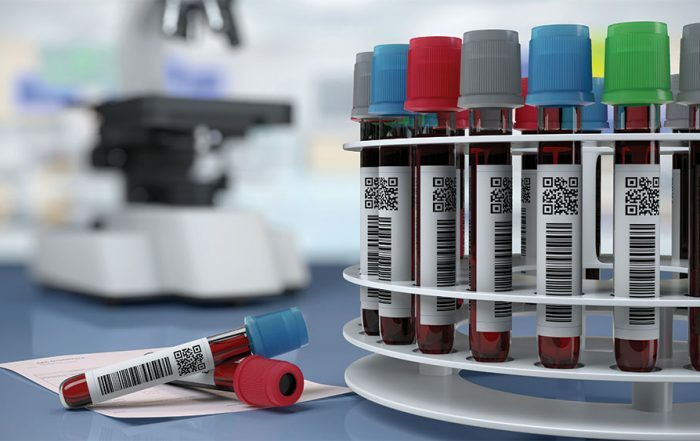 Twenty-five years ago, the Food and Drug Administration (FDA) first announced that it believed it had the authority to regulate laboratory developed tests (LDTs). Since then, the topic has generated intense controversy and resulted in the issuance of several draft guidance documents, intense lobbying, draft legislation, multiple citizen petitions, and threatened litigation. All of this has happened against a backdrop of immense change in the laboratory industry. Regulating LDTs has been an FDA priority for years. Yet, in the wake of the November 2016 elections, FDA said it would suspend efforts to issue an LDT policy. Presumably, for at least the next four years, FDA will not seek to implement a policy governing the regulation of LDTs. Thus, viewed from one perspective, the 25 years of controversy and debate have left us where we started. A cynic could say it has been “full of sound and fury, signifying nothing.” LDTs remain largely unregulated, just as they were in 1992. While FDA maintains it has the power to regulate LDTs, it does not have a policy to exercise that authority, and so nothing has changed. And yet, viewed from a different perspective, FDA’s role in regulating LDTs has shifted profoundly. Even in the absence of a formal, overarching policy, FDA has expanded its reach over LDTs well beyond where it was 25 years ago. This saga provides useful insights into the regulatory process, not just for laboratories, but for other industries as well. In 1976, Congress enacted the Medical Device Amendments.1 This legislation gave FDA sweeping authority over devices. The legislation was silent as to FDA regulation of clinical laboratories. It is fair to say that Congress’ goal was to regulate manufacturers and distributors of medical devices, not clinical laboratories. While the definition of “device” is broad,2 nothing in the legislative history or the wording of the law suggests that Congress contemplated FDA would be overseeing laboratories. Twelve years later, Congress did turn its attention to laboratories, when it enacted comprehensive legislation, the Clinical Laboratory Improvement Amendments (CLIA).3 This legislation conferred regulatory authority over laboratories upon a different part of the Department of Health and Human Services (HHS), not FDA. The response, when it came, was not a surprise. Nor was it a detailed rebuttal. One year earlier, FDA had issued a regulation creating a class of products called analyte specific reagents (ASRs).9 The preamble to the ASR rule explicitly stated that FDA had the authority to regulate LDTs: “FDA believes that clinical laboratories that develop [LDTs] are acting as manufacturers of medical devices and are subject to FDA jurisdiction under the act.”10 At the same time, FDA explained it did not expect to exercise that authority. The preamble stated that while FDA “appreciates the concerns that have been raised about [IVDs] that are not reviewed independently,” it believes that general controls are sufficient and would only impose additional regulation if “necessary to provide an appropriate level of consumer protection.”11 Thus, the denial of this citizen petition was a foregone conclusion. This, however, was not to be the last citizen petition filed on the subject. For the next decade, FDA largely left LDTs alone. FDA’s purported authority lay dormant, aside from sporadic enforcement actions against individual companies. In 2006 the lull ended, when FDA announced plans, via a draft guidance document, to regulate a new class of products with one of the less felicitous acronyms: IVDMIAs (in vitro diagnostic multivariate index assays).12 In this draft guidance, FDA proposed regulating IVDs that contained complex algorithms.13 One of FDA’s primary concerns was that these “black box” algorithms were not transparent to physicians and could not be readily understood. In July 2010, FDA held a two-day public meeting to solicit feedback on LDT regulation. FDA heard a variety of views, ranging from support for regulating LDTs to many concerns about the details of any plan and the risk of unintended consequences, to adamant opposition. As is typical of these types of meetings, FDA officials were in a “listening mode” and did not reveal their thinking. In explaining why LDT regulation was necessary, FDA pointed to the changing role of laboratories, both in geographic reach and test complexity.17 FDA is certainly correct on both points. The kinds of LDTs and their clinical role have changed materially since 1997, when FDA said it did not intend to regulate LDTs. FDA also said that regulation by the agency was needed because of safety concerns.18 That assertion is far more controversial. Pressed by Congress in the Fall of 2014 to provide documentation for its claims that LDTs presented health risks, FDA did not release its list until November 16, 2015.19 The accuracy and alleged implications of FDA’s examples were vigorously contested by laboratories. FDA received more than 200 comments in response to the draft Framework. 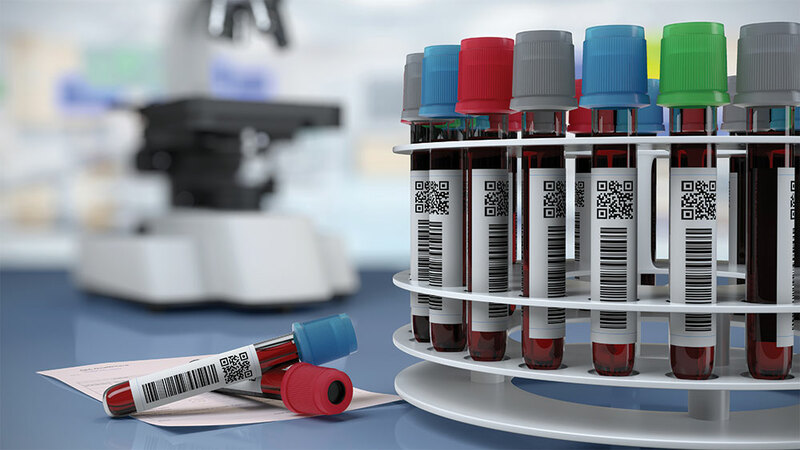 Some endorsed FDA’s proposal, alleging safety issues with LDTs and the lack of a level playing field between in vitro diagnostic (IVD) device manufacturers, who are regulated by FDA, and LDTs. 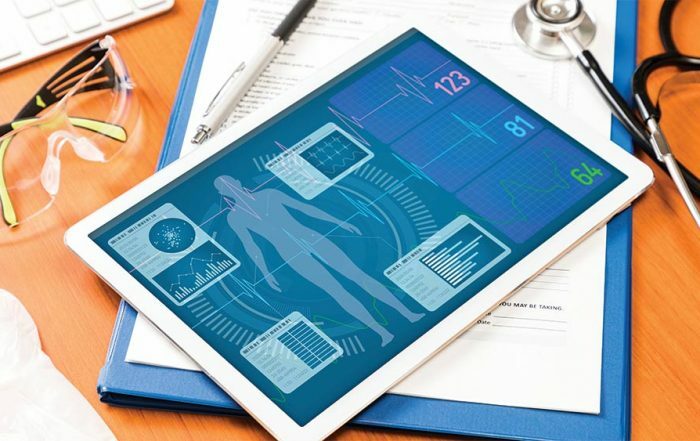 Many other comments were sharply critical, both as to FDA’s conceptual approach of treating LDTs the same as distributed devices, and with regard to specific aspects of FDA’s proposal, such as how FDA addressed particular regulatory elements, including the Quality System Regulation (QSR) to LDTs. Critics also raised concern that FDA’s approach would impede innovation in clinical laboratory testing. These criticisms notwithstanding, FDA continued to push forward with plans to regulate LDTs. Throughout 2016, there were multiple rumors that final LDT guidance was forthcoming. Notwithstanding these rumors, no LDT guidance was released. The election results put an end to FDA’s plans to regulate LDTs, at least for the next few years. Facing the handwriting on the wall, on November 18, 2016, FDA notified industry groups and other stakeholders that it would not finalize the two draft guidance documents. FDA stated that it would “continue to work with stakeholders, [the] new administration, and Congress to get [its] approach right.”20 And with that declaration, FDA’s current attempt to regulate LDTs through a policy came to an end, for now. This chronology may suggest that FDA’s efforts of regulating LDTs were unsuccessful. While that is true with respect to a formal overarching policy, FDA does regulate LDTs in ways that were unimaginable 25 years ago. First, FDA’s avowed policy is to exercise enforcement discretion for LDTs. That leaves open a major question: what, exactly, is an LDT? Surprisingly, for all the debate over FDA regulation of LDTs, the scope of the term is not well-defined. FDA has said that an LDT is an IVD “that is intended for clinical use and designed, manufactured and used within a single laboratory.”21 This short definition is ambiguous and leaves plenty of room for interpretation, e.g., what is the permissible relationship between a third party that identifies new markers of an assay and the laboratory that converts that knowledge into an assay? FDA has occasionally questioned whether a test offered by a laboratory actually qualified for LDT status. FDA may not regulate LDTs, but it has retained the power to decide if a test qualifies as an LDT. By narrowing the scope of LDTs, FDA can increase the number of laboratory tests it regulates. A second, closely-linked limitation is that the test must not be a “direct to consumer” (DTC) test. FDA has emphatically stated that DTC tests are subject to enforcement action.22 And FDA has, in fact, challenged multiple companies offering DTC tests. While FDA has been clear in saying that DTC tests are subject to FDA regulation, FDA has not articulated the criteria for evaluating whether a test is DTC. It is now clear from FDA’s ad hoc enforcement actions that a test can be deemed DTC by FDA even if a doctor orders it. Although FDA’s criteria for what role the physician must play has not been officially stated, at a minimum, based on FDA actions it appears that there must be some independence between the doctor and the laboratory, and consumers must have the opportunity to talk with the doctor. A test will be deemed DTC—and therefore subject to enforcement action—if the physician is an employee of the laboratory. Furthermore, FDA has not renounced all regulation of tests even if they are unequivocally LDTs. On a handful of occasions, FDA has attacked an LDT because the agency believed the tests to be unreliable and potentially dangerous. For example, in September 2016, FDA issued a public notice asserting that LDTs intended to be used to screen for ovarian cancer were unsafe.23 It is not clear what criteria FDA will use in deciding to take this type of action. An FDA announcement that it views a company’s test—or a class of tests—as inappropriate has a profound commercial impact. There is no established mechanism to ensure that companies have a meaningful opportunity to present data before FDA regulates a test through a press release or public letter. Nevertheless, the document cannot be dismissed as irrelevant. FDA explains that the purpose of the White Paper is to summarize what FDA has learned over the last several years through comments, visits to laboratories, and other sources. Based on that feedback, FDA said it was now contemplating a very different framework. For example, in the 2014 proposal, FDA had envisioned that laboratories would be subject to the full panoply of QSR requirements. The Discussion Paper contemplates a vastly scaled down set of QSR requirements: design controls, procedures for implementing Corrective and Preventive Actions (CAPA), and acceptance activities (i.e., “mechanisms to ensure that products meet specified requirements coming into the laboratory and throughout testing”).25 This revised approach is more appropriate, taking into account that laboratories are already subject to CLIA and that laboratories are different from companies that manufacture IVDs for commercial distribution. Perhaps FDA’s LDT Framework, as originally proposed in October 2014, would have been slightly less unpalatable to laboratories had FDA given more recognition to existing laboratory regulations under CLIA, and initially limited its proposal to these three elements, rather than proposing to apply all elements of QSR. In fact, FDA had been advised before the draft Framework that laboratories were concerned about being held to all of the QSR regulation. Laboratories had submitted documents to FDA “cross walking” CLIA and QSR to demonstrate the problems dual regulation would create. The proposed Framework did not acknowledge that imposing QSR requirements on top of CLIA would lead to duplication. Whether FDA’s most recently-articulated vision will ever be implemented is highly uncertain. Presumably, any proposals to regulate LDTs will be deferred until there is an administration inclined to support a major new regulatory push. FDA would then need to take the bare bones Discussion Paper and convert it into a full draft guidance, publish it for public comment, review and analyze comments, prepare a final guidance, and have that survive review by HHS, the Office of Management and Budget, and Congress. Even then, the policy would need to pass judicial muster. As noted above, the leading laboratory organization, ACLA, announced its retention of two prominent litigators in response to the Draft Framework.28 While the pared-down regulatory approach described in the Discussion Paper would be less burdensome for labs, it would still represent a fundamental shift in laboratory regulation. The plan described in the Discussion Paper would reduce the level of regulation compared to the draft Framework, but it would still mean FDA regulation. The basic legal arguments advanced by ACLA and other commenters remain unaddressed by the courts. Moreover, even though FDA has not issued a final guidance for the comprehensive regulation of LDTs, it is still conceivable that the legality of FDA regulation of any particular/specific LDT will be litigated. FDA has reserved the right to challenge the validity of an LDT or whether the role of the doctor is sufficient for the test not to be considered DTC. A laboratory challenged by FDA may decide to resist, particularly if the survival of the laboratory hinges on continuing to offer the test. That confrontation could result in a judicial review of the issues that have been debated for years, namely, whether FDA has the legal authority to regulate LDTs and, if so, whether the agency must proceed through rulemaking. Congressional action would be one way to avoid this clash. FDA’s attempts to regulate LDTs have spurred various efforts to develop a congressional response to the question of how to regulate LDTs. This has prompted a broader question: how should FDA regulate in vitro diagnostics? While IVDs are “devices” under the Federal Food, Drug, and Cosmetic Act, they fundamentally differ from products that require direct patient contact in order to achieve their intended effect. 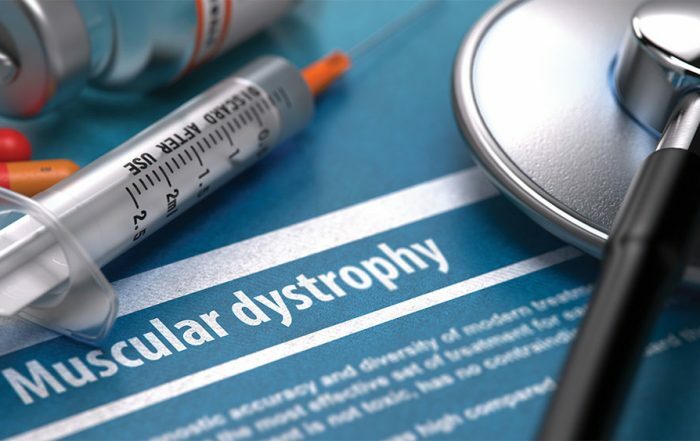 Yet, in discussions with companies developing new, innovative assays, they repeatedly express a strong preference for the LDT route over FDA review. To some extent, that is predictable and logical. LDTs are subject to less regulation and gain faster access to market. LDTs represent a short-cut, so what rational company wouldn’t pick the easier route? That perspective, though, represents an over-simplification. I have discussed the options with many companies that have developed innovative tests, and some of them see enhanced ability to commercialize, improved reimbursement, heightened credibility, and other advantages to being FDA-regulated. However, in the end they often elect to remain LDTs, and not proceed through the FDA process. Many factors go into the decision. One is lack of predictability. The concern is that they will not know what data to submit or what FDA’s expectations are. This problem is particularly acute with novel tests or technologies, such as next-generation sequencing. Another recurring concern is that the FDA regulatory structure does not accommodate product changes. Many LDTs will evolve, as new biomarkers are developed or the interpretation of genetic variants is updated. Under current FDA policy, those changes would typically require a new 510(k) or a PMA supplement. Put simply, the traditional regulatory paradigm does not fit the fast pace of change in many modern diagnostic tests. These issues are not unique to LDTs. Companies with kits and instruments face precisely the same types of challenges and obstacles. 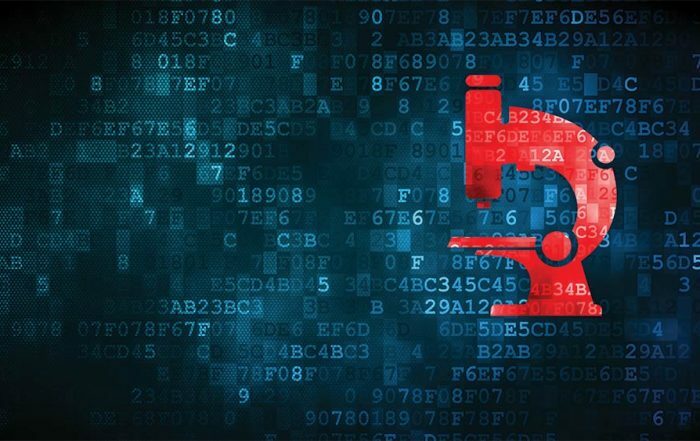 FDA or Congressional reform of diagnostic regulation would not only benefit manufacturers, but could also induce some companies offering LDTs to pursue—rather than resist—FDA review. Whether this broader reform can occur remains to be seen. For a quarter of a century, FDA has said that it can regulate LDTs, but has not done so. Will the same be true 25 years from now? That would seem doubtful. Presumably, over the next 25 years either FDA will renounce any desire to regulate laboratories (perhaps due to revised laws governing laboratories) or FDA will be regulating laboratories (most likely under a pared down regulatory regime). But, then again, who knows. In a world where a team can win a Super Bowl despite trailing by 25 points with 18 minutes to go, or the wrong winner of the Oscar for Best Picture can be announced, or pundits may be unable to accurately predict the winner of a president on election eve, all predictions—and especially long-term ones – need to be hedged. Perhaps in 2042 the LDT controversy will celebrate its 50-year anniversary. See Medical Device Amendments of 1976, Pub. L. No. 94-295, 90 Stat. 539. See 21 U.S.C. § 321(h). See 42 U.S.C. § 263a. See FDA, Draft Compliance Policy Guide: Commercialization of Unapproved In Vitro Diagnostic Devices Labeled for Research and Investigation (Aug. 1992). See Citizen Petition to FDA from Jeffrey N. Gibbs, Hyman, Phelps & McNamara, P.C. (Oct. 22, 1992). See FDA Response to Citizen Petition from Jeffrey N. Gibbs, Hyman, Phelps & McNamara, Docket No. 92P-0405 (Aug. 12, 1998). See Analyte Specific Reagents, 62 Fed. Reg. 62,243 (Nov. 21, 1997) (codified at 21 C.F.R. pts. 809, 864). See FDA, Draft Guidance for Industry, Clinical Laboratories, and FDA Staff: In Vitro Multivariate Index Assays (Sept. 7, 2006). FDA issued a second version of this draft guidance about a year later on July 26, 2007. See Oversight of Laboratory Developed Tests; Public Meeting, 75 Fed. Reg. 34,463 (June 17, 2010). See FDA, Draft Guidance for Industry, FDA Staff, and Clinical Laboratories: FDA Notification and Medical Device Reporting for Laboratory Developed Tests (LDTs) (Oct. 3, 2014); FDA, Draft Guidance for Industry, Framework for Regulatory Oversight of Laboratory Developed Tests (LDTs) (Oct. 3, 2014). See Press Release, American Clinical Laboratory Association, ACLA Retains Attorneys Paul D. Clement and Laurence H. Tribe To Represent ACLA in Opposing the FDA’s Proposal To Treat Laboratory Developed Tests (LDTs) as Medical Devices (Nov. 18, 2014). See 75 Fed. Reg. at 34,463. See FDA, Office of Public Health Strategy and Analysis, The Public Health Evidence for FDA Oversight of Laboratory Developed Tests: 20 Case Studies (Nov. 16, 2015). See Turna Ray, FDA Holding Off on Finalizing Regulatory Guidance for Lab-Developed Tests, GenomeWeb (Nov. 18, 2016), https://www.genomeweb.com/molecular-diagnostics/fda-holding-finalizing-regulatory-guidance-lab-developed-tests; Zachary Brennan, FDA Delays Finalization of Lab-Developed Test Draft Guidance, Regulatory Affairs Prof’ls Soc’y (Nov. 18, 2016), http://www.raps.org/Regulatory-Focus/News/2016/11/18/26218/FDA-Delays-Finalization-of-Lab-Developed-Test-Draft-Regulations/. FDA, Draft Guidance for Industry, Framework for Regulatory Oversight of Laboratory Developed Tests (LDTs), at 5 (Oct. 3, 2014). See, e.g., id. at 5 n.4 (“FDA generally does not exercise enforcement discretion for [DTC] tests regardless of whether they meet the definition of an LDT.”). See FDA, Ovarian Cancer Screening Tests: Safety Communication – FDA Recommends Against Use (Sept. 7, 2016). See FDA, Discussion Paper on Laboratory Developed Tests (LDTs) (Jan. 13, 2017). See Myriad Genetics Labs., PMA, Bracanalysis CDX, P140020 (Dec. 19, 2014).